In our April/May issue, we travel to Antarctica with Enterprise Aviation Group, go behind the scenes with Air Transat, and deliver an update on the CH-148 Cyclone maritime helicopter! 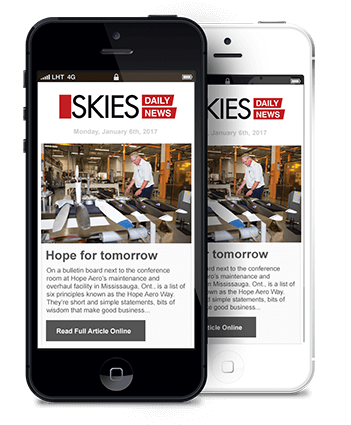 Sign up for your free Digital Alert from Skies magazine. Sign up for free daily email updates from the aviation industry’s top news source. 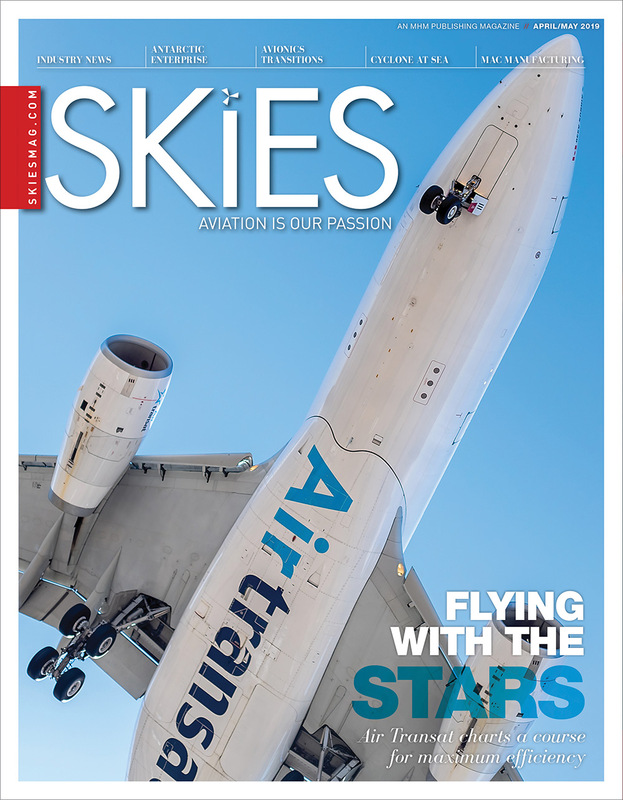 Since its debut, Skies has quickly gained a loyal and escalating following for its fresh approach to covering North American aviation and aerospace news. 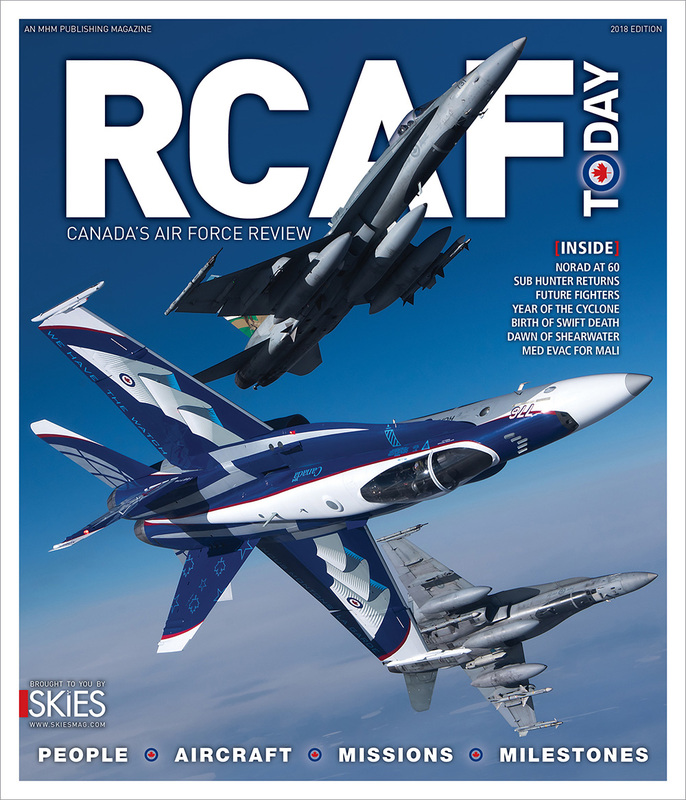 Each issue is packed with insightful stories, news, reports and feature profiles from all sectors of aviation! Marc Garneau, Minister of Transport, has announced that the Government of Canada is making important safety investments at local airports across the country. Transport Canada’s Airports Capital Assistance Program (ACAP) will provide over $48.6 million for new safety-related improvement projects, including $354,851 to install wildlife fencing at the Brandon Municipal Airport and $168,270 to rehabilitate the electrical systems on Apron IV at the St. Andrews Airport in Manitoba. “Our government recognizes that local airports are major contributors to the economic growth and social well-being of smaller communities. In addition to supporting personal travel and tourism, local airports are key connectors for business, health care, social services, and emerging resource development sectors. These investments will improve access to safe and efficient and accessible air transportation options, and will help us deliver on our promise to build safer, healthier and stronger communities across Canada,” said Garneau. The Jan. 31 announcement represents the largest investment in ACAP projects since the program started in 1995. Further projects will be announced in the coming weeks and will include rehabilitating runways, taxiways and aprons; improving airfield lighting and airside electrical systems; purchasing snow-clearing equipment; upgrading airfield guidance signs; and installing wildlife control fencing. Well-maintained airports help ensure safe usage by aircraft, passengers, and crews, and help protect costly airport safety assets, such as snow clearing equipment and aircraft rescue and firefighting vehicles, during airport operations. Read a digital version of our latest edition. Download a PDF or view a flipbook online now. 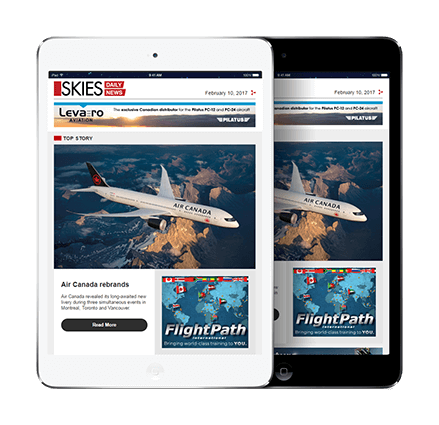 Get the latest industry news delivered right to your device with our free e-newsletter, Skies News. Subscribe to one, or all of our magazines. Receive monthly editions of our print magazine right to your door.